I’m sure you are skeptical of most so called FREE applications. We are too! The FREE version of Hotjar however, has proven itself to be quite useful! 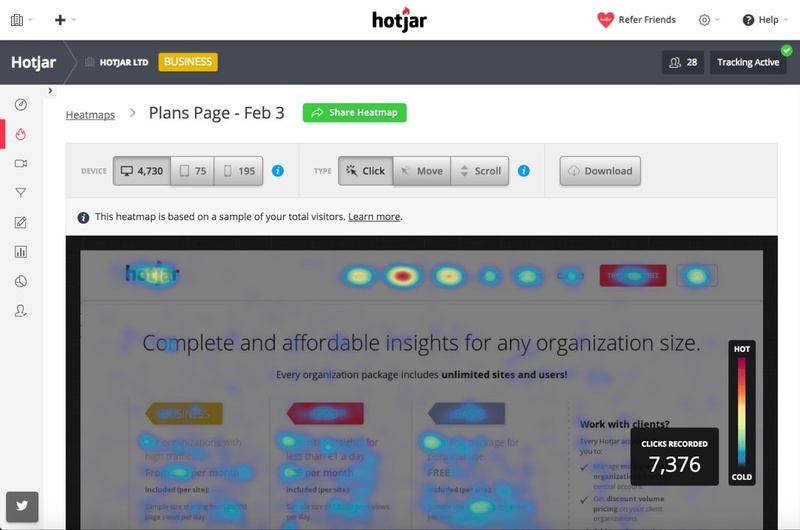 Hotjar is a new and easy way to truly understand your desktop and mobile traffic. Hotjar has some pretty cool features to help you understand what your customers are looking at on your website. Hotjar’s heat-mapping is really nice. It provides insight to what users want and care about most. It shows what customers interact with on your website by visually representing clicks and scrolling behavior. Another really cool feature is the recording aspect. You can literally identify issues by watching a recording of visitors on your website. You can visually see as they click, move their cursor, type and navigate around the website. 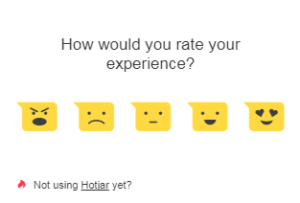 Without a doubt our favorite feature of Hotjar is its slick feedback polls and survey capabilities. You can easily understand what your desktop and mobile visitors want and what is preventing them from moving forward by targeting them with time based or event based questions. Surveys allow you to collect deeper insight from your customers as they convert, or abandon a page. Our last feature that we really like is the incoming feedback aspect. Using incoming feedback you can give your visitors an easy way to leave an instant visual feedback with faces from frowns to smiles. This helps identify issues and learn about your opportunities for growth. Setup Hotjar in a matter of minutes using only one script. Hotjar works with some of our favorite eCommerce platforms including: WordPress, WooComerce, Magento, Shopify and Prestashop! Interested in Hotjar? Try it for FREE!